WITH CANNON BALLS reigning down on them, Hank Overton inadvertently takes his guard with him into a ditch, which saves their lives. Everyone else was killed. His guard, Tom Masters, and Hank decide to leave the war. On their way west, they by chance meet a girl, Amy Blair, who has lost her family. The three form a family and travel west going through several trials along the way. They are invited to join a thespian troupe and become actors for over two years. This gives them an education while meeting people who would be their friends for life. Meeting John Windsor, a man from England, and one of the richest men in the world, it changes all their lives. Windsor hires Hank and Tom and they help the South to recover after the Civil War. Hank marries Windsor’s daughter and inherits all of Windsor’s American holdings. Tragedy follow hanks as he makes his way through life. 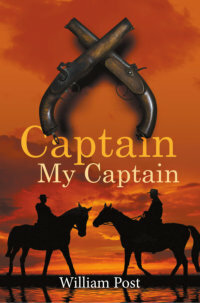 WILLIAM POST, is the author of 29 novels with a variety of genres. He is a professional civil engineer, licensed with the state of California. 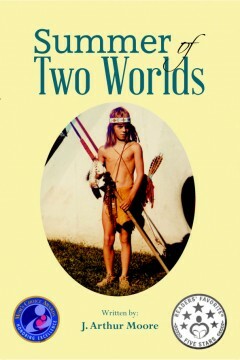 He took an early retirement and moved to Northern California where he started his writing career. Post was reared in West Texas, educated at Texas A. & M. and served in the U.S. Navy. After his service, he became a surveyor with the Southern Pacific Railroad, which took him to the wilds of Texas, New Mexico, Arizona and California. He picked up the lore of those areas, as can be seen in the novels of those areas. He is a student of the Word Wars and the Civil War and generated several novels of those eras. His wife was born in Germany and they have visited there several times. He developed an interest of that area and several of his novels use Germany as the central setting. Post is an Evangelic Christian and this thread is woven through the fabric of is novels. He now lives in Las Vegas, Nevada with his wife, Brigitte, and their extended family. 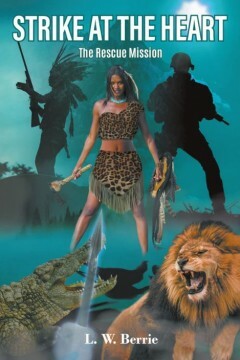 Colonel John Harris, U.S. Army Special Forces, goes back in time to retrieve his lost men. But something is blocking their way from leaving. Some blame the ghost of Harris’s adversary, Mhalglami, and some blame the land gone wild. Harris is afraid that this time they may bring back more than they bargained for. USA, both Teri and Masai, longs for a world where her mixed heritage does not matter. Although promised to N’Grundbligimi since childhood, their marriage is opposed by powerful forces from both within and outside the tribe. She wants to pursue her dreams. But will she find such place? Born in Davenport, Iowa, L.W. Berrie was educated in California. Graduated from California State University of Los Angeles with a B.S. in Mathematics and Science, he worked 23 years in the aerospace industry. He went back to school in the Legal Assistance Program at the University of California at Irvine (UCI) and graduated with a perfect 4.0 grade point average. He took additional writing courses at UCI to improve his skill as a writer. The UCI library system and the Special Forces at Fort Bragg, N.C. provided the research materials to write the story. Only two people know of the mole’s existence, code named Tuck, his handler and CIA Director Martin Bradley who flew into action to save this remarkable American agent. His insightful reports from Moscow have come faithfully for years. Martin’s job won’t be easy. He will send his best agents, Hugh Neff and Curt Conley, to get the agent to a safe house and out of Moscow, not an easy task with former KGB agents and the FSB breathing down their necks. 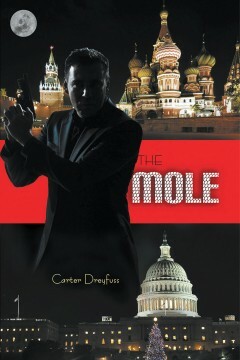 Not only that, the existence of the mole must be kept from the Russian government to prevent an international incident. If this weren’t trouble enough Martin’s close friend and assistant, Clive Winthrop, slated to take over the Agency upon his retirement has been murdered. The DCI fears the worst. One of their own at the top is a traitor.